Chefs Yotam Ottolenghi and Sami Tamimi on the row over Israel’s famous dish. Ottolenghi and Tamimi were born in Jerusalem in the same year but on either side of the religious divide - Sami on the Arab side and Yotam in the Jewish west. They never met there but moved to London independently in the late 1990s and began to cook together at the Ottolenghi restaurant. Now they have written a book celebrating Jerusalem’s culinary delights, including a chapter on the row over the humble chickpea dish. 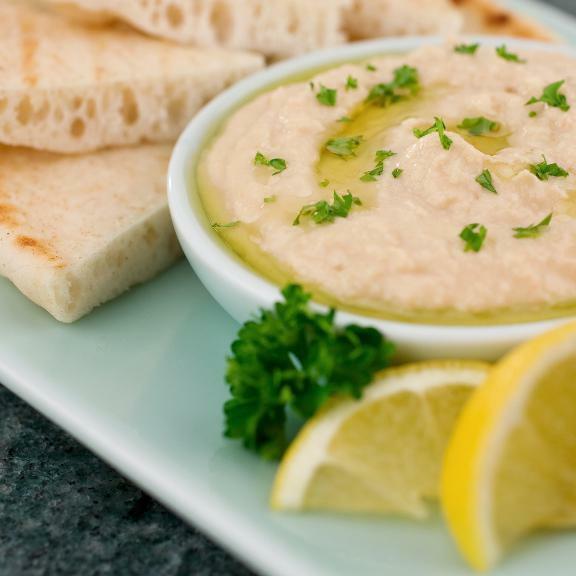 They spoke to Midweek presenter Libby Purves, with fellow guest Billy Bragg chipping in his thoughts on Greek hummus.